Interested in starting your custom home building project this year? Perhaps you aren’t interested in taking the full leap of building a new home, but simply want to renovate your bland kitchen so that it becomes a high-end masterpiece. 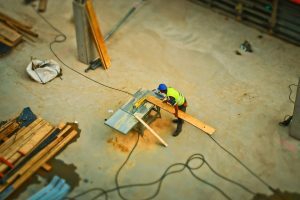 Whatever the case, and no matter how large or small your building project may be, you need to select a builder who will put as much time and dedication into your building project as you have. We know you’ve likely worked hard to plan out and save for the home of your dreams. We also believe that you shouldn’t have to compromise for anything less than perfect when it comes to getting the work done. Whether you’re planning an expansion, renovating an existing space, or building a new home altogether, our team has the expertise necessary to make the process seamless and enjoyable. We will work with you to minimize costs and timelines, working as efficiently as possible to get you into your new space as soon as we can. We can create any space that you have in mind as we incorporate high-end technologies and building materials. From finishing touches to the bones of the house, every element of your new home will have you in mind. We will work with you to determine which pieces matter most, and then will begin to transform your dream into a gorgeous reality. When you’re ready to renovate or build your new high-end home, don’t settle for anything that’s less than the best. You need a builder that checks off all of your boxes, incorporating superior safety standards and unrivaled building materials and technologies. We offer service throughout much of the New York metropolitan area, and we will come directly to you to help build wherever you may be. Prestige Custom Home Building and Construction doesn’t believe in a cookie-cutter approach to construction. Instead, we use the opportunity to work with you as an opportunity to put our skills to the test. We will work with you to make sure your home – whether brand new or freshly renovated – reflects the best aspects of who you are as a person. We want to make sure your building project exceeds all of your expectations. Whether you’re renovating your high-end kitchen or building the brand-new home of your dreams, give Prestige a call. We will help bring your dream home to life.